Take a look at that list, you might find something interesting for you. This is an open list! If you would like to add something leave a comment! 1. You will not trust aqua shop sellers. 2. You will always quarantine your newly purchased fish. 3. You will not keep (torture) your fish in bowl. 4. You will not use aquarium that does not have heater, filter, plants and light. 5. You will not buy fish at random, without thinking it through. 6. You will not use chemicals to get rid of algae. 7. You will not be saving on the amount of light in your aquarium. 8. You will not be touching fish with your hands. 9. Remember the water change day to be a holy day. 10. You will not overfeed your fish. 11. You will not keep betta fish in plastic cups. 12. You will not be getting rid of fish just because you got bored of them. 13. Remember that it’s better to have more plants than less and less fish than more. 14. You will not replant your plants too often. 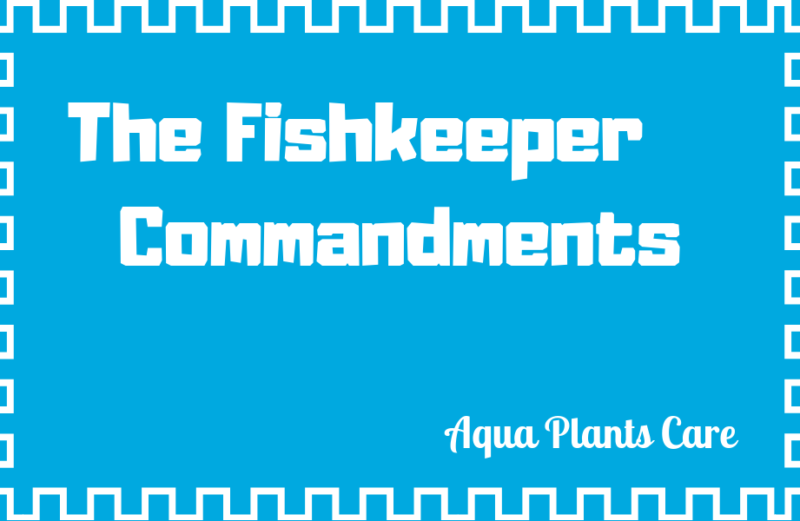 Share your experience about fish keeping with others.